What is black and orange and thrifty all over? 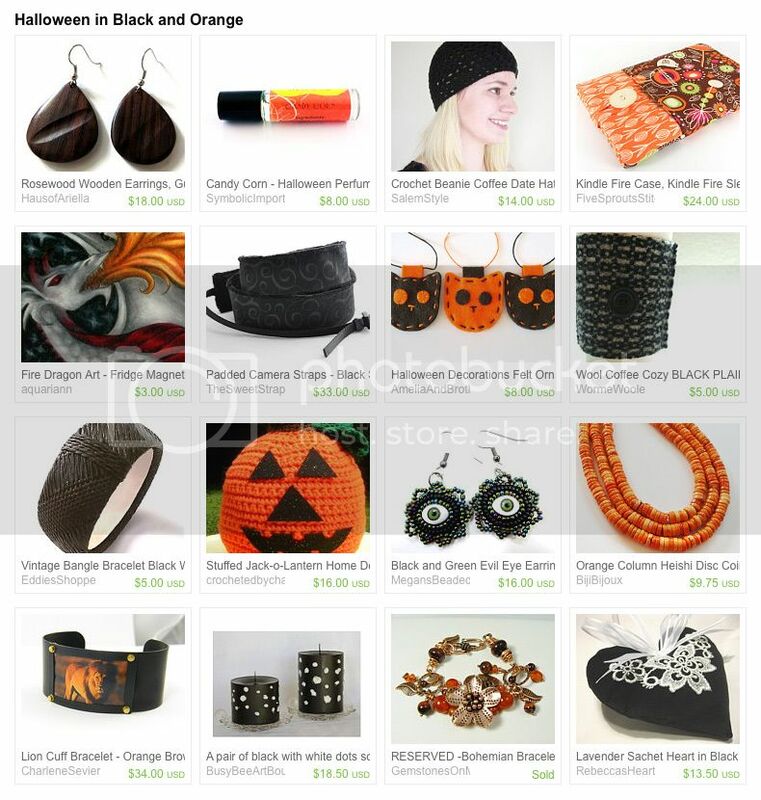 A Halloween-themed Saturday Night Specials team treasury by Kristina of Creative Endeavors, of course! Bold decor ideas include a crocheted Jack-o-Lantern, felt ornaments and my fire dragon magnet. There's a Bat in My Belfry! I just added my Halloween treasury! I can't wait until Friday night, I'm going to a party and I'm going to be some manner of fey woodland creature. I am really enjoying all of the Halloween treasuries this year. Thanks for a great link up as always! I love orange and black together! October is really the only time I can get away with wearing them together. Great treasury! Just stumbled onto your blog and love it! Great treasuries! Wonderful link. Thanks! Oh, BTW, love the Evil Eye Earrings!